Rail – Wagon Maintenance, Safety Critical Parts and more. Alongside the desktop site, launched a new improved mobile site, bringing the most important information direct to your mobile. DAF truck information for sales, servicing and parts is also available on four depot dedicated DAF franchise sites, ensuring the information you are looking for is readily accessible. 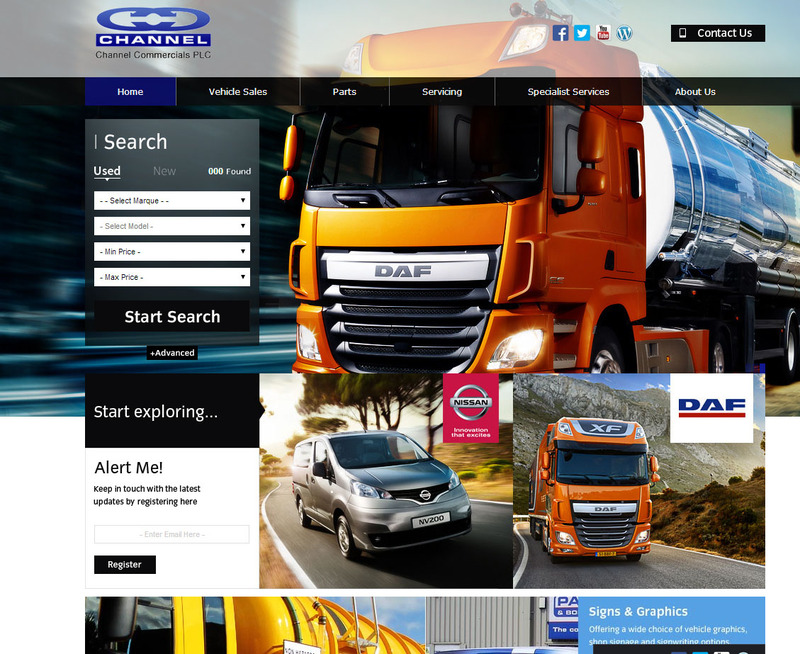 If you would like to share any comments about the new site www.channelcommercials.co.uk or any suggestions for additional information that you think would be of benefit that we may be able to provide, please do not hesitate to contact us via the website ‘contact us’ pages.